Alas! The zombies have once again triumphed over the meat bags! In a most fabulous fashion, my comrades and I valiantly tore through the silly creatures, tagging bodies and taking bites. During the Friday night mission, my allies showed excellent engineering skills by building thrones for the gods who supported our position. Sadly no food was to be found nor brothers to be turned and Friday ended without any event. Then came Saturday, a day of planning and rest, and both factions readied themselves for the finale. On the morning of Sunday, the mission details came out and the superior race was given the final objective. In a battle for control, the zombies and the humans would have to finish each other’s VIP’s. Three gods on the zombie side, six for the humans. Though we had fewer gods, we had more troops and a roaring confidence. Sending out our scouts, we determined that the fleshbags were near the IC. It was there our horde and the scurrying rats met in a fight to the finish. But the human weapons weren’t enough, and the zombie army held strong. Within three minutes the human group of twenty-three turned to three and then to zero. A massacre would be an apt description. After the humans were feasted upon, the gods came next. One by one we took down each human-favoring god and settled ourselves as the master species. Let it be known that neither gods nor humans are our match, for we are the zombies who will inherit the Earth. Tech is only a stepping stone, for the world is our right. And with an outstanding and undeniable zombie victory, both humans and zombies end this Fall 2013 bloodbath. But what about next semester? Will the humans be able to prevail then? 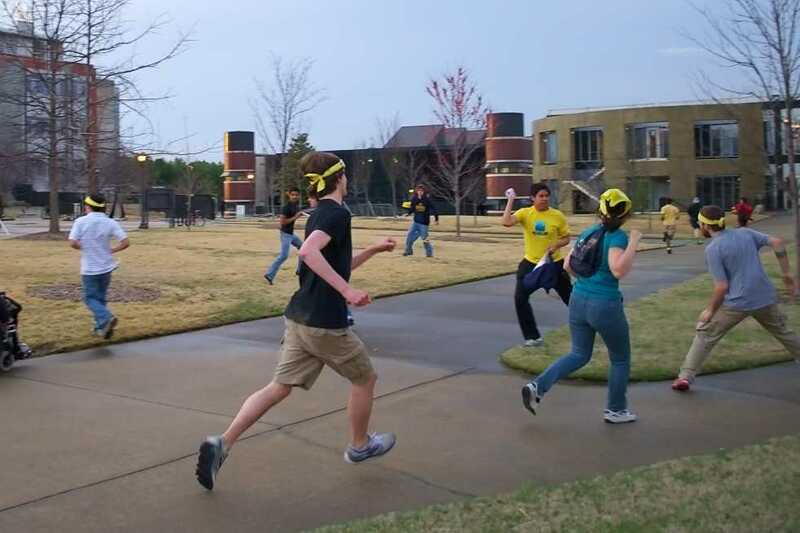 Very doubtful says my zombie instincts, but we shall see next time we all come together for Georgia Tech HvZ.